The Thunder Brothers eponymously titled debut recording is a four song EP chock full of powerful, driving rocking blues. 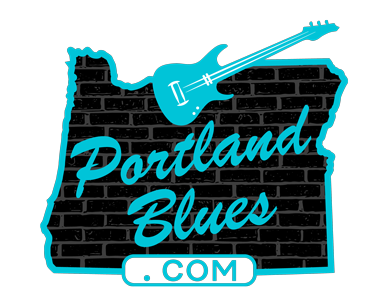 Made up of four of Portland’s most talented and respected musicians, they each have a resume that could fill a warehouse with their historical contributions to Portland’s music scene and beyond. And on this disc these guys don’t just play music, they bring it alive. They’ve unleashed a maelstrom of musical fury that holds nothing back and consumes you with a desire to hear more and more. The Thunder Brothers are made up of guitarists Michael Quinby and Doug Rowell, with the super pulsating rhythm section of bassist Timmer Blakely and drummer Edwin Coleman III. They play off one another to perfection and you can easily catch the individual contributions by the players on every track; no one overplays his hand, a true sign of a cohesive unit and working outfit. Quinby and Rowell each created two of the four tracks. They are filled with expressive and fluid lyrics that are ear-catching and memorable, with no let-down from one song leading into the next. You’re hooked right off the bat with the opening guitar riff on “You Scare Me” and pretty quickly find yourself singing along on the chorus. That is followed up by Rowell telling you that if you’re going to hurt me, “Hurt Me Good” and then intensifying his statement with a blistering guitar solo that stresses the point, letting you know that he’ll be coming back for more. Quinby then returns with a tale of the woman he is attracted to whose skin is like “Molasses” and eyes as black as night and she’s a bit on the wild side. He can’t understand what she sees in him, but he is definitely going to stick around and see. Rowell then returns with the closing number, “Turn and Walk Away,” that opens with fire on his instrument’s strings, rattling the senses with sizzling and ferociousness guitar playing throughout. The full band is pouring their all into the spirit of the song and you’re taken on a rocking ride that just keeps getting better the further into the song you go. It’ll leave you breathless by the end and asking why there isn’t more! If power blues is something you enjoy, this is definitely a recording you don’t want to pass up. 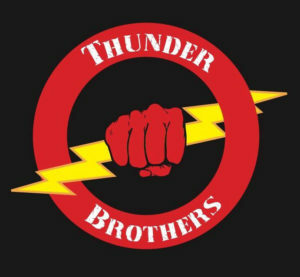 Thunder Brothers is without doubt an appropriate name for this band, they’re bringing out all of the full force of a thunder storm and then some. Play this one loud and be prepared to have your senses stimulated on all fronts. BOOM! This one hits it right!